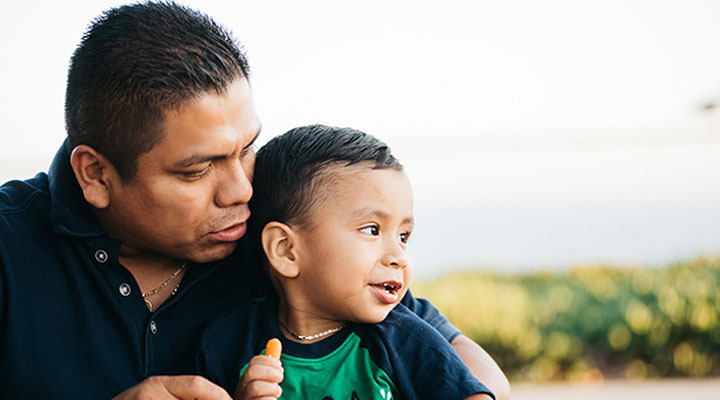 A ten-year initiative to improve the lives of Latino families with diabetes through research, education, and care. To reduce dramatically the burden of diabetes, heart disease, and stroke among Latino families in the United States. 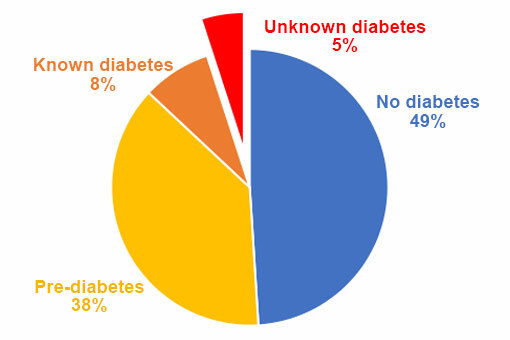 • Almost 1 in 2 Latino adults are at risk of type 2 diabetes. • A significant number of Latino adults have diabetes but were not aware. This puts them at risk of serious complications such as heart attack, stroke, and kidney failure. For many local families, it can be challenging to achieve optimum diabetes control. 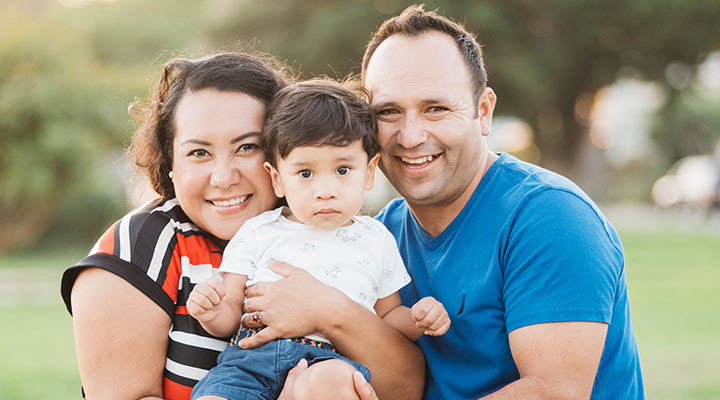 Recent data from the CDC show that diabetes rates are twice as high for Latinos of Mexican heritage compared with Whites. Diabetes Rates in Santa Barbara County Outreach Sample. N = 685. We are facing a tremendous problem. But there is strength in numbers. 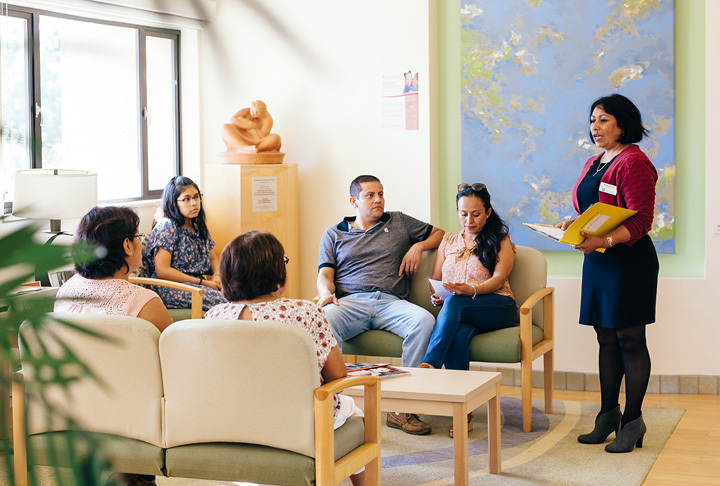 Why is diabetes at epidemic levels in Latino families? How our genetics, biology, behavior, psychology and environment affect disease? 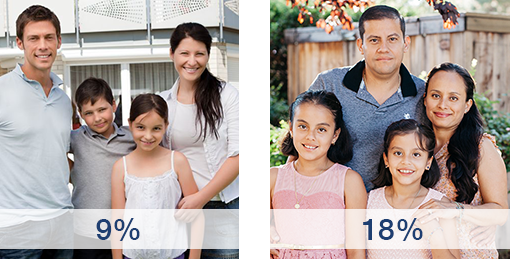 How can Latino families themselves help to solve this problem? 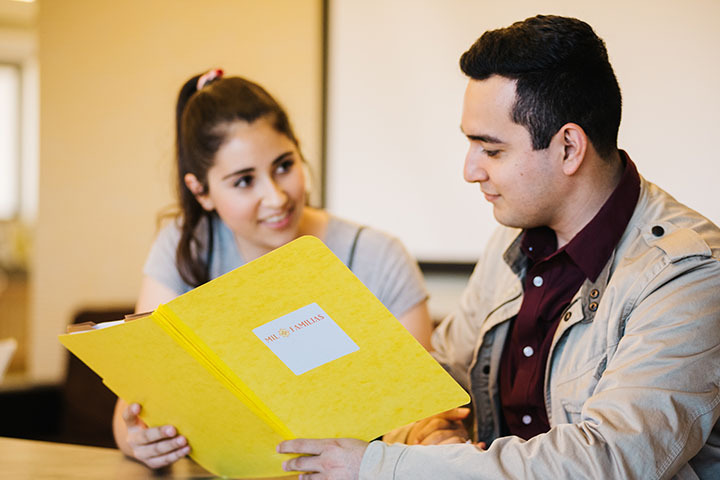 Especialistas are bilingual, specially trained community health workers who are knowledgeable about type 2 diabetes, interact directly with families to collect data, answer questions, and connect families to timely and appropriate resources when necessary. 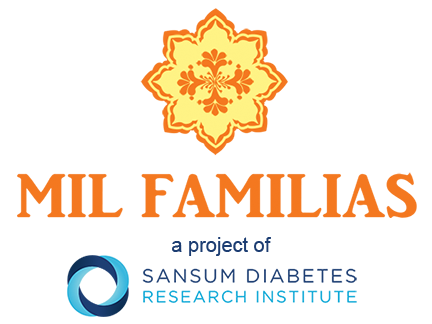 Mediated by Especialistas, each family member contributes information about themselves to create a one-of-a-kind database about Latino health, behavior, lifestyle, and environment. Based on the data, Mil Familias plans to collaboratively create new diabetes interventions in the areas of education, prevention, technology, policy, treatment, and more. An initiative of this magnitude compels large-scale support. Our allies believe in our mission and range from businesses to individuals to service providers. Learn how to become an ally. 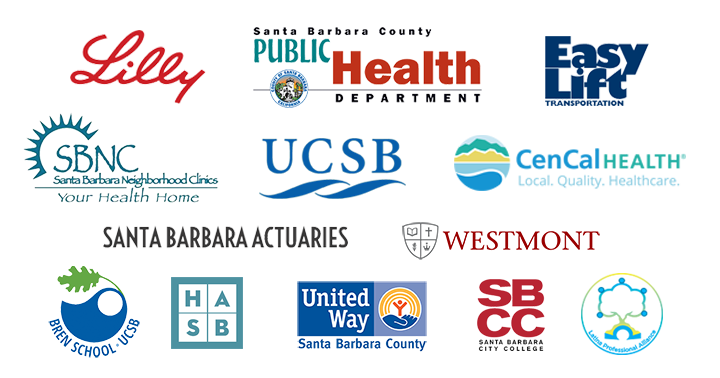 Our allies include Eli Lilly, Santa Barbara Neighborhood Clinics, UCSB, Santa Barbara Actuaries, Easy Lift, Santa Barbara County Public Health Department, CenCal Health, United Way Santa Barbara County, Santa Barbara City College, Housing Authority of Santa Barbara, Westmont Downtown, Bren School, and Latina Professional Alliance.